J & K Steakhouse is located at 56 South Street in downtown Morristown, NJ. 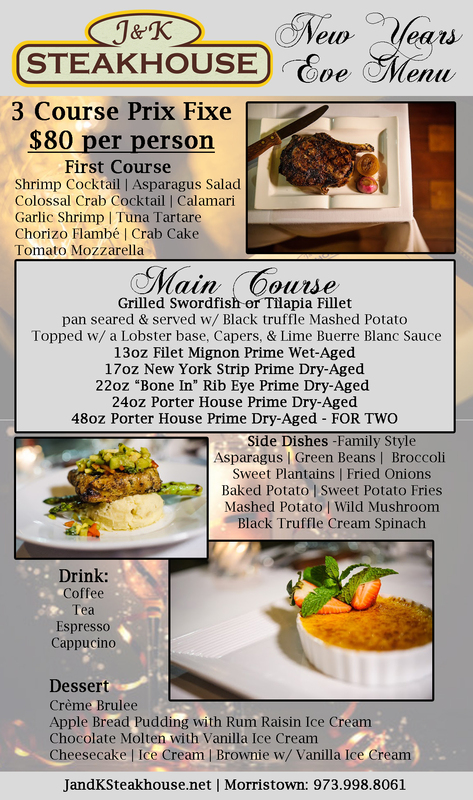 Reservations are suggested and can be made via phone at 973-998-8061 or at Open Table. Free Parking is available in the lot behind our restaurant.